The problem with Langkawi Island is public mass transportation. It absolutely does not exist, except for taxis, which is an expensive way of getting around, especially if you’re traveling solo. So on our last day at Hotel Bahagia, transferring to Century Langkawi Beach Resort, which is located some 16 kilometers farther west of the island, we decided to merge our half-day sightseeing tour with Ekomegah Holidays with our hotel transfer. 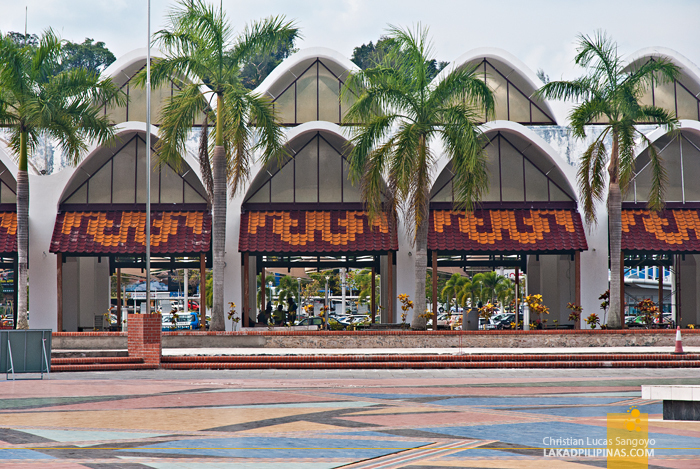 The first location on our itinerary is predictably, the most famous spot in Langkawi, the Eagle Square [GPS COORDINATES MAP 6.308824, 99.851454] or Dataran Lang in Malay. 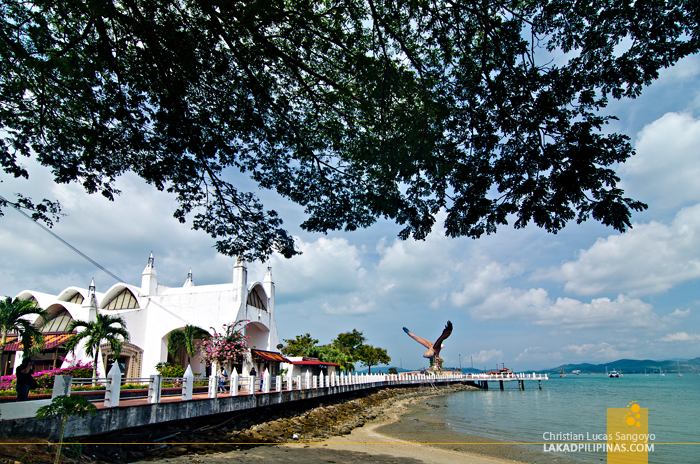 It is located near the Langkawi Royal Yacht Club, where a big duty free shop is located too. 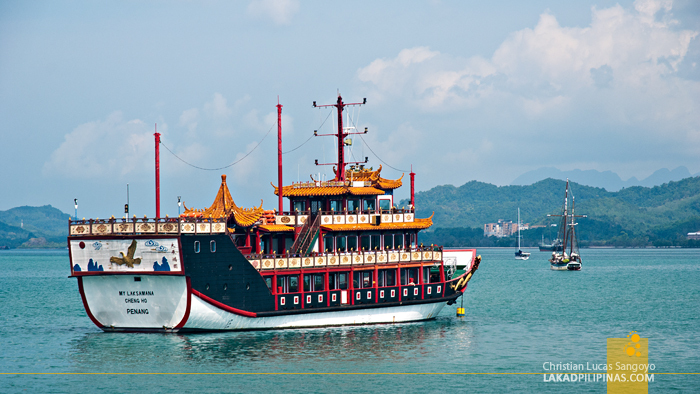 We saw this iconic landmark during our Langkawi Sunset Cruise from the waters of Kuah Bay and now we get to see it up close. The said bird, a bhraminy kite, is said to be where the island got its name; helang, meaning eagle and kawi, describing its reddish brown color. There’s a big population of the said species, especially at Langkawi’s UNESCO Global Geopark area. 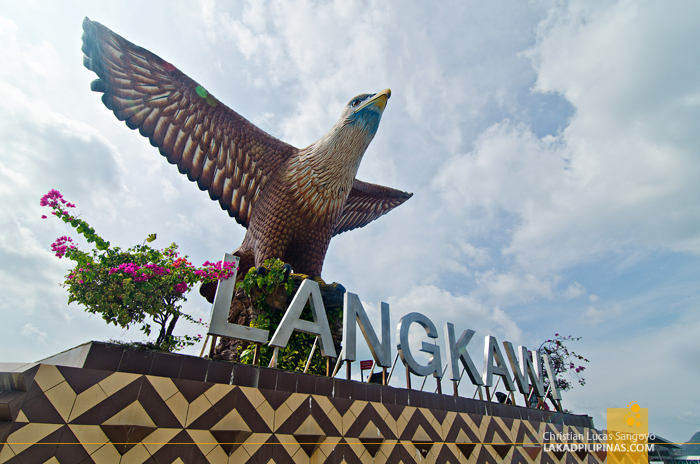 Langkawi’s eagle stands 12-meter high, painted and made of concrete. It is one of the most visited places on the island, however, once you’ve taken a photo of or with the eagle (for selfie addicts), there’s not much else to do in the area. 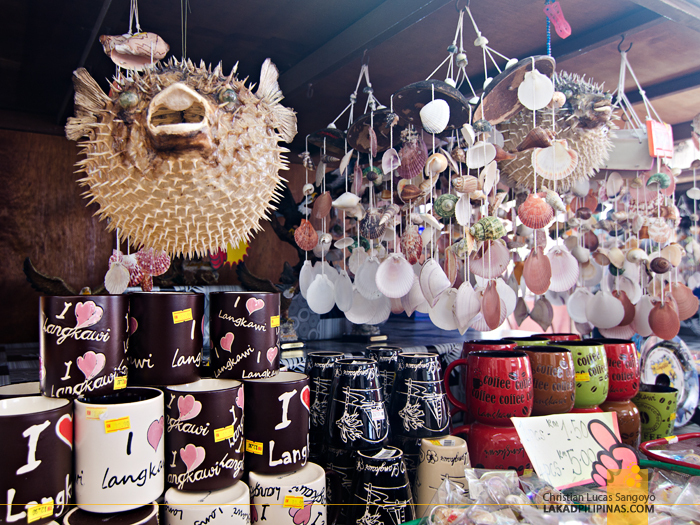 Well, actually, there are a few restaurants you can dine in and two adjacent structures with stalls selling mostly souvenir and touristy stuff you can bring back home; t-shirts, ref magnets, mugs and what-nots. Back in the car, we debated if we’re gonna visit the Seven Wells Waterfalls, which would require a bit of a hike or the SkyCab cable car, which would require ringgits, MYR45.00 each to be exact. After a quick discussion, we decided to pass off those two spots and simply asked our driver to us to Pantai Cenang [GPS COORDINATES MAP 6.291823, 99.725466], Langkawi’s famous beach. 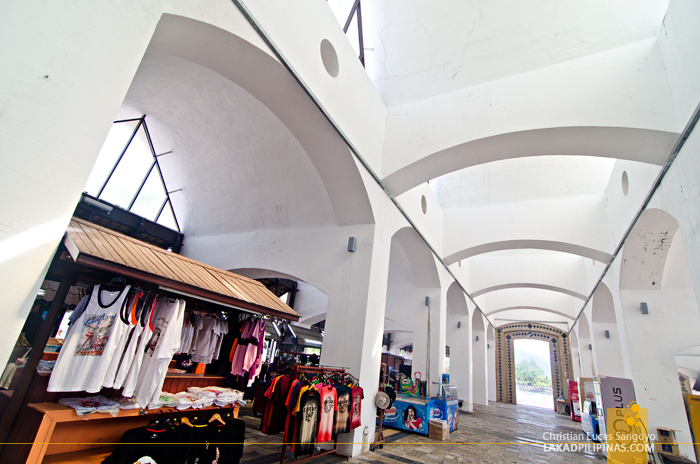 It doesn’t require hiking and we didn’t have to shell out a single ringgit. Perfect. The drive took about an hour and the sun was scorching hot by the time we went out of the car again. Bringing a carton of Tiger beer and a few other ones we wanted to try from a nearby mall plus a bucket of KFC chicken (sans the gravy, Malaysian KFC doesn’t offer gravy with their chicken, booo! ), we stormed the beach of Cenang (pantai, by the way, means beach in Malay). 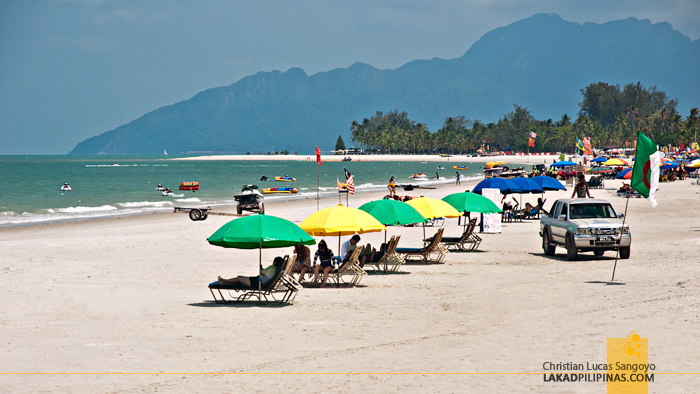 Pantai Cenang stretches out for more than two kilometers along the town of Temoyong. This beach is the main draw of the town and numerous shops line its sidewalks catering to nothing but tourists going to the beach. It sort of reminded me of Phuket’s Patong Beach. The sand is very, very fine, though quite dry. It does sting when the wind blows hard and it hits your skin. It’s the tail end of Langkawi’s high season during our visit so the beach was a bit devoid of tourists, tourist season being set on the cooler months of November to April. It was freakin’ hot that day. While we were definitely tempted to swim, one look at the water and we went back to the shore, it was blue-green in color alright, but it just wasn’t as clear as those we swam on at Pulau Payar. Filipinos are quite picky when it comes to good beaches. 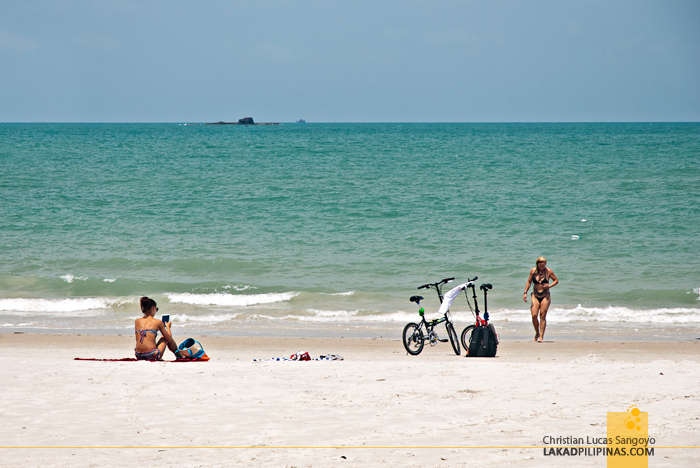 There are numerous parasols available for rent along the shore, but yes, you have to rent it out for a few ringgits. So what we did, we sought a shaded portion of the beach, laid out a blanket, and walah, instant base camp. 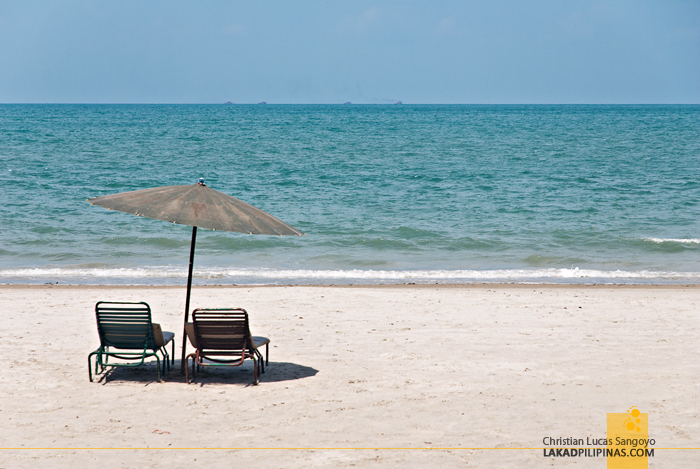 With sand on our bare feet, the sounds of popping beer soon followed plus the aroma of freshly fried chicken. Our next resort at Pantai Kok can definitely wait, we have a carton of beer to finish.